So I took the plunged and picked up some Pillsbury Crescent Rolls during my weekly grocery excursion. And today I decided was the day to finally make an attempt at one of Pinterest’s most Pinned recipes using the crescent rolls. 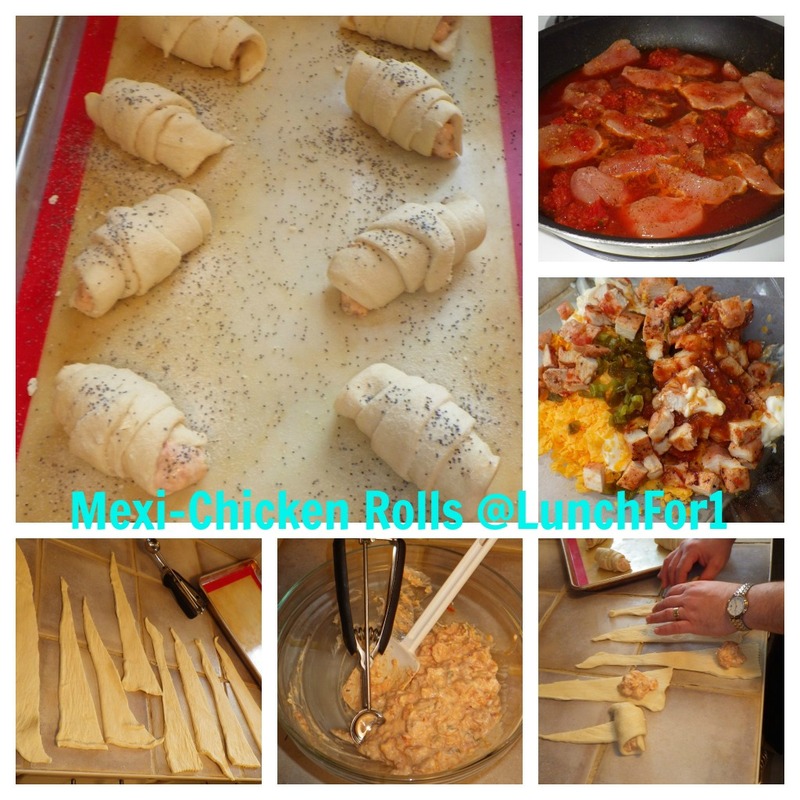 These Mexi-Chicken Crescent Rolls were SO delicious, and got two thumbs up from my husband! natural choice to create a Mexi-Chicken stuffing. These were so easy and quick to make for a simple Saturday lunch. I hope you enjoy them as much as we did. Slice your chicken breast into strips. Cook the chicken slices in non-stick frying pan (no oil) for 3 minutes each side. Sprinkle ½ tsp. of each – taco seasoning, salt and pepper over the slices. When flipping the chicken, add the salsa and juice to the pan. Cook for 2 more minutes. Remove chicken from pan, and dice it into very small bite-sized pieces, and let cool. Mix together mayo, cheese, jalapenos, and cooled chicken pieces in a bowl, add a bit of the cooked salsa/tomato liquid for flavour, about 1 tbsp will do the trick. Open and unwrap your crescent rolls. Cut each triangle length-wise to form two, long triangles. Place one teaspoon of your chicken mixture on the wider end of each triangle. I like to use my “Martha” gelato scoop for this step. Roll up each triangle from wide to narrow end, and place on a cookie sheet with Silpat or sprayed with Pam cooking spray. I sprinkled my crescent rolls with poppy seeds for decoration. Bake for 14 minutes. Remove and let cool for 5 minutes. And enjoy! This made for a very impressive lunch for hubby and I yesterday. I’ll definitely be making these again. Finally I understand what all the fuss was about on Pinterest in regards to these stuffed crescent rolls. 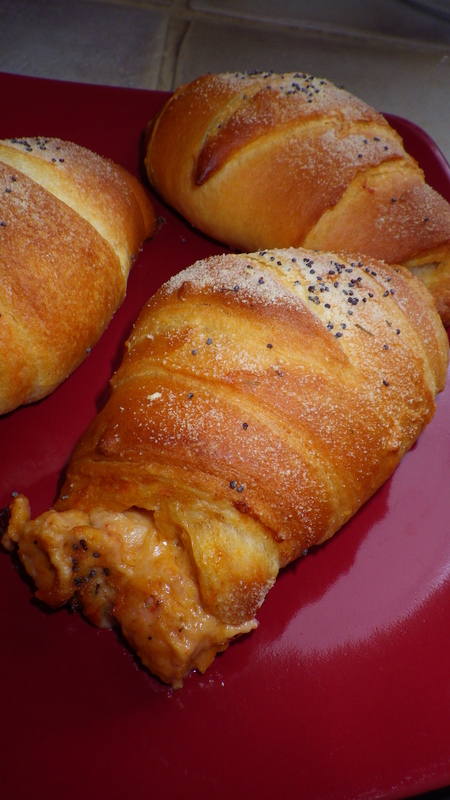 What do you use Pillsbury Crescent Rolls for?